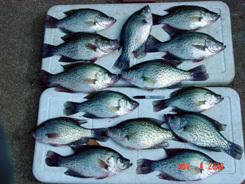 Clark Hill Lake Crappie Guide and Thurmond Lake Crappie Guide. 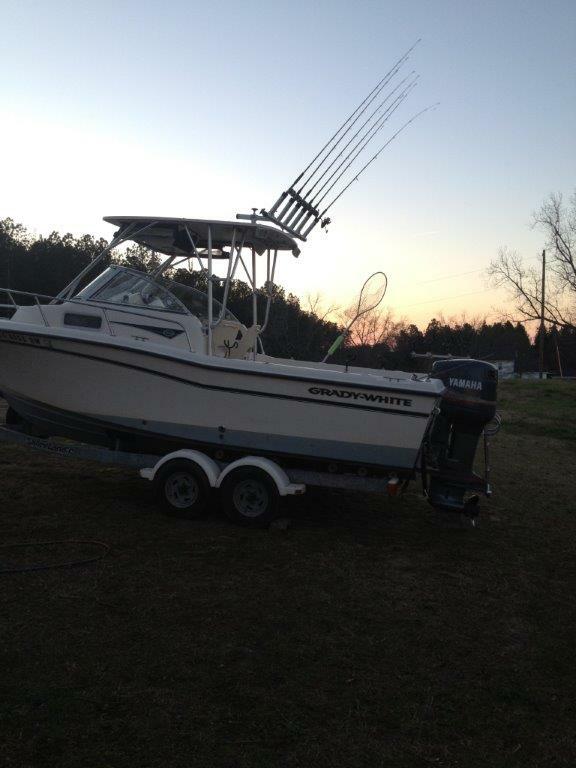 USCG Clarks Hill Lake Crappie Guides and Thurmond Lake Striper Guides. Book A Guided Crappie Fishing Trip Today! Crappies ( /ËˆkræpiËï¿½/ or /ËˆkrÉ’piËï¿½/) are a genus, Pomoxis, of freshwater fish in the sunfish family Centrarchidae. 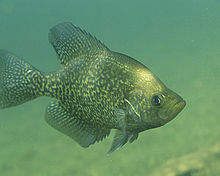 There are two species, the type species Pomoxis anularis, the white crappie, and the black crappie, P. nigromaculatus. Both species are popular game fish. The genus name Pomoxis derives from the Greek πÏï¿½μα (cover, plug, operculum) and οξÏï¿½ς (sharp). The common name (also spelled croppie or crappé), derives from the Canadian French crapet, which refers to many different fishes of the sunfish family. Other names for crappie are papermouths, strawberry bass, speckled bass or specks (especially in Michigan), speckled perch, calico bass (throughout New England), sac-au-lait (in southern Louisiana, lit "bag of milk") and Oswego bass.